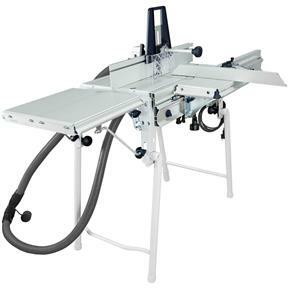 The Festool CMS Router Tables feature smooth as glass sliding tables, precise miter gauges, sturdy extension tables and featherboard / hold down options. All of this in a portable package. It’s micro adjustability is augmented by it’s robust and tough design, engineered to last. Above the table adjustments are no longer a dream, but a reality. Sliding tables set a new industry standard for smoothness and versatility thanks to precise miter gauges. Safety is at the forefront of the table thanks to tall fences, integrated featherboards and wonderful stock support. Be confident while you rout.